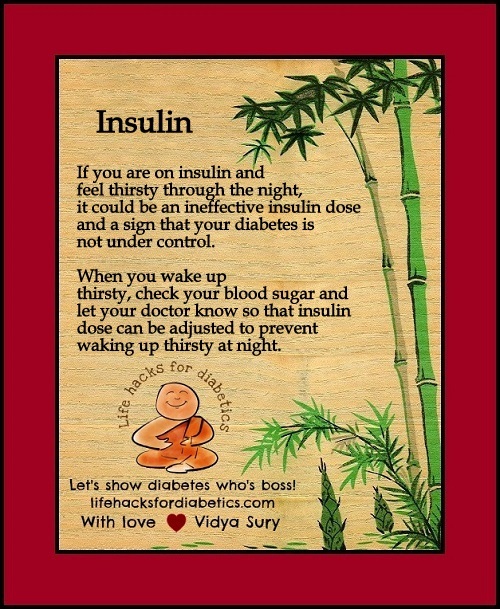 If you are on insulin and feel thirsty through the night, it could be an ineffective insulin dose and a sign that your diabetes is not under control. When you wake up thirsty, check your blood sugar and let your doctor know so that insulin dose can be adjusted to prevent waking up thirsty at night. Thank you Vidya! Good tip, didn’t know about that.